1. With firm and reasonable structure, the machine is easy to operate and durable for use. 2. 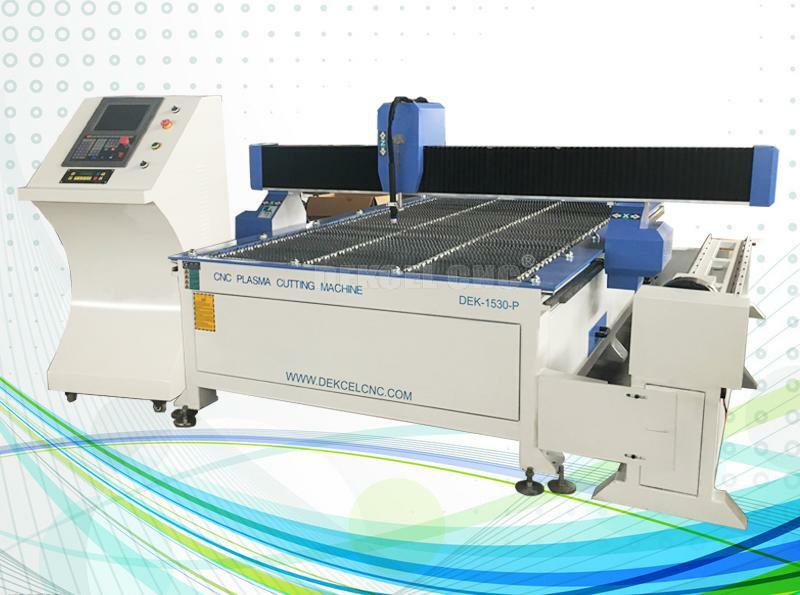 Advanced digital control system, large capacity storing function, convenient to read and process. 3. Starfire control system and with THC Function. 4. High cutting speed, high precision. Cutting small, neat, no dregs phenomenon. Improved cutting control mode on the basis of traditional CNC system, to avoid the secondary finishing process. 5. High configuration. 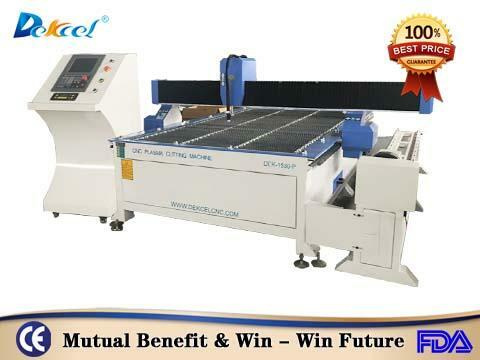 Automatic arc, stable performance, arc success rate of 99% or more. 6. Cutting head with cooling system can quickly cool surface of material to avoid burr and residue. 7. Power supply adjusts current according to different thickness of the material to ensure cutting materials without burr. 8. Compatible software: Ucancam,Type 3, Artcum,etc. 9. Suitable for low carbon steel plate, copper plate, iron plate, aluminum plate, galvanized sheet, titanium plate and other metal sheet. 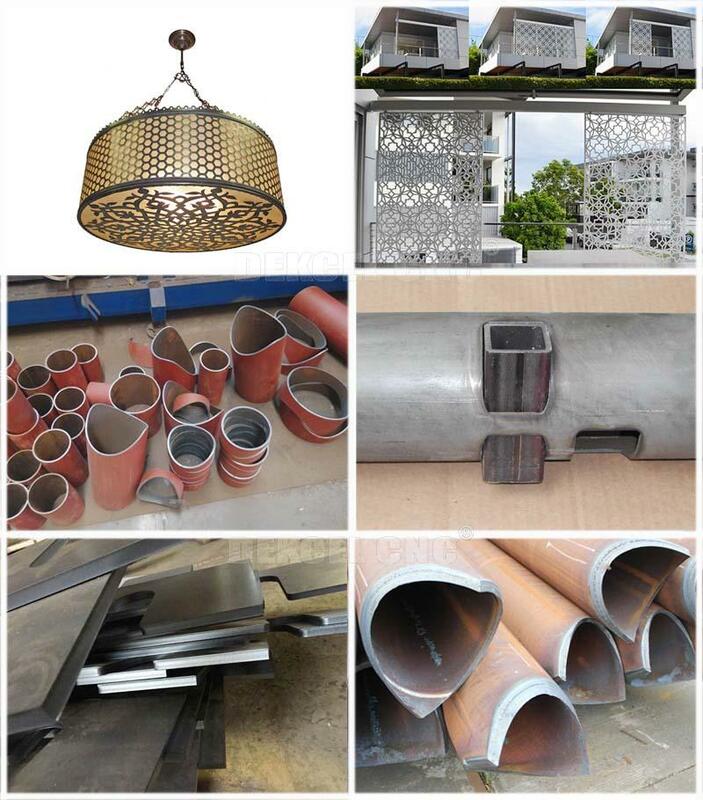 10.Applicable industry: advertising industry, arts and handicrafts cutting, metal plate cutting. 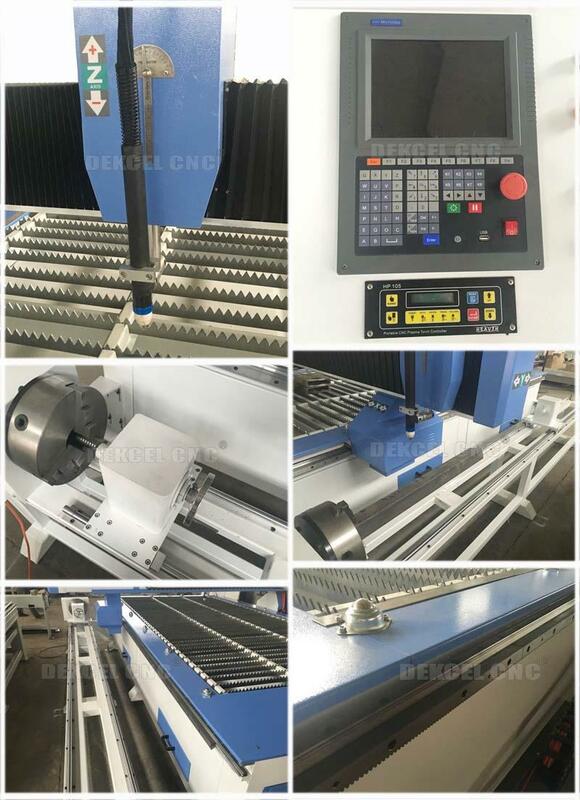 If you are interested in our cnc metal tube plasma cutting machine, or have any question about cnc plasma cutting machine, please contcat Jinan Dekcel Cnc Equipment Company. We are support service 24 hours online.